From time to time prophetic Christian voices rise to challenge our nation?s "original sin." In the twentieth century, compelled by the Spirit of God and a yearning for freedom, the African American church took the lead in heralding the effort. Like almost no other movement before or since, Christian people gave force to a social mission. And, remarkably, they did it largely through nonviolent actions. Dr. Martin Luther King Jr.?s words and historic efforts as the Moses of this civil rights movement stand out as perhaps the most significant instance of a modern Christian leader acting in a prophetic role to instigate political change. In many ways "The Letter from Birmingham Jail" stands at the center of that movement. In this book African American journalist Edward Gilbreath explores the place of that letter in the life and work of Dr. King. Birmingham Revolution is not simply a work of historical reflection. Gilbreath encourages us to reflect on the relevance of King's work for the church and culture of our day. Whether it?s in debates about immigration, economic redistribution or presidential birth certificates, race continues to play a role in shaping society. What part will the church play in the ongoing struggle? "The calling of a prophet is a glorious burden. The prophetic voice of Martin Luther King is as needed by the church today as it was half a century ago. Edward Gilbreath allows us to hear it with depth and power." John Ortberg, senior pastor of Menlo Park Presbyterian Church and author of Who Is This Man? "Today, the historical significance of Dr. Martin Luther King has either been virtually forgotten or has given way to a slew of one-dimensional caricatures. 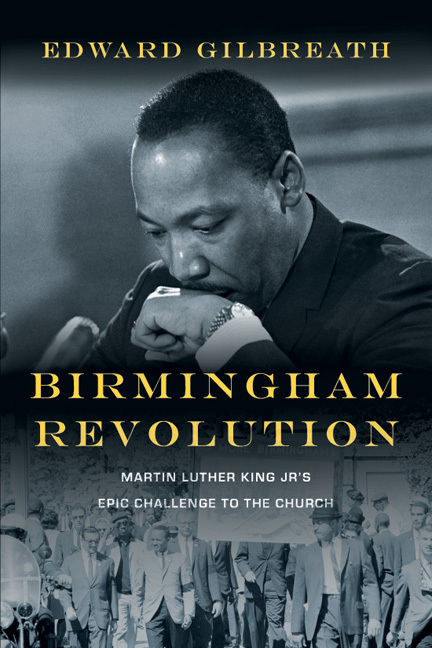 In Birmingham Revolution, Ed Gilbreath not only gives a fresh analysis of an important chapter of the civil rights movement, he also thoughtfully reintroduces Dr. King to a whole new generation. He challenges us to reexamine Dr. King's renowned 'Letter from a Birmingham Jail' in order to rediscover the clear biblical concerns and mandates for justice. This book will prove to be a valuable tool in equipping those we disciple with a fuller application of God's Word in the cultural marketplace." 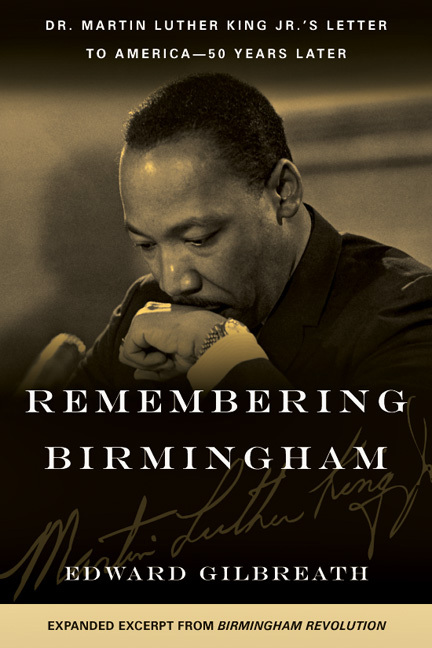 "This book offers a unique facet to the multifaceted jewel of Martin Luther King Jr. and the Birmingham revolution. The one who dares to take another look into the life, work and ministry of King by reading this book will experience the transition from a glimpse to a glance to a glaze." "Edward Gilbreath has written a smart, thoughtful and contemporary account of Martin Luther King Jr.'s 'Letter from a Birmingham Jail.' He analyzes the depth of King's theological convictions concerning racial injustices and the controversies they provoked in the city of Birmingham in 1963, as well as the nation. 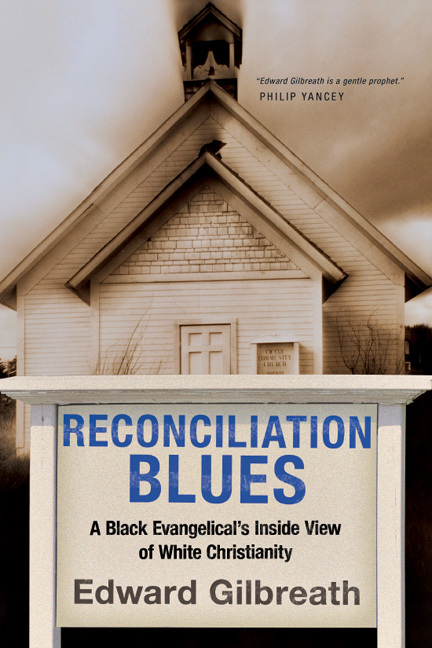 Gilbreath's book prophetically challenges evangelical Christians to reexamine King's theological convictions in light of racial and social class inequities facing the United States and the world today." "Edward Gilbreath has provided us with a truly magnificent look at Martin Luther King Jr. and the Birmingham civil-rights campaign of 1963 in this fiftieth anniversary year. Those new to King will be intrigued, informed and inspired. Those very familiar with King and the events in Birmingham will gain fresh and engaging insights. Birmingham Revolution is a must-read for students, activists, pastors, community leaders and all persons who claim the Christian community as their home." "We remember Martin Luther King Jr. because he spoke truth to power. We remember Dr. King because he cast a vision for what we could be, rather than what we often are. Now, Edward Gilbreath uses historical insight, theological sensitivity and nitty-gritty honesty to help us remember King for his challenges to the church. If you want your congregation to be and remain on the side of justice, you will get a copy of Birmingham Revolution for your pastor. If you want it to change your life, you?ll get another one for yourself." "Ed Gilbreath offers a masterful retelling of key times in the life of King. He gives us a holistic view that helps us to understand the great civil rights leader. Gilbreath does not sidestep controversial issues so that we will engage in an unspiritual worship of King but places the man in a proper context so that we gain qualitative insight into the civil rights movement." "Read the headlines these days, and it can seem like the country is splitting at the seams. The vitriol of our political and cultural debates is enough to make anyone wonder whether the 'better angels of our nature' have gone into permanent hibernation. . . . Reading Edward Gilbreath's Birmingham Revolution has given me a fresh perspective and renewed hope." "Edward Gilbreath is one of the few writers who manages to capture the intense drama of King's call to ministry, his (at times, controversial) ascension to leadership, and the burden and blessing of trying to realize the beloved community." "Gilbreath introduces readers to King's more radical and less popular writings and contextualizes the Letter from Birmingham Jail and its influence. . . . worth a read." "Of the many who have written on Martin Luther King Jr., few have chosen the focus that Gilbreath has taken. He looks at King's legacy from the perspective of an African American evangelical. . . . Gilbreath documents the changing nature of race relations, and reminds us that the civil rights movement as an entity grew out of a regulated structure of injustice. . . . A great book for all interest in King's life, the history of civil rights, or the church's involvement in matters of equality." 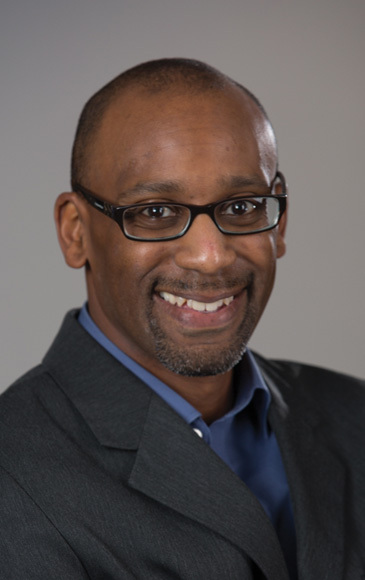 "As an evangelical pastor of a multi-ethnic church in New York City, I often find myself at the intersection of lively discussions about race. These conversations almost inevitably lead to a familiar question: What does the church do now? Maybe stated another way, 'How do we work toward the dream of the beloved community?' This is why I find Edward Gilbreath's Birmingham Revolution: Martin Luther King Jr.'s Epic Challenge to the Church to be a timely and necessary read. . . . I recommend reading Birmingham Revolution before engaging the familiar 'I have a dream' each January. Adding dimension to the historic civil rights movement helps us take seriously the pitfalls and promise of the hard work of racial reconciliation today." 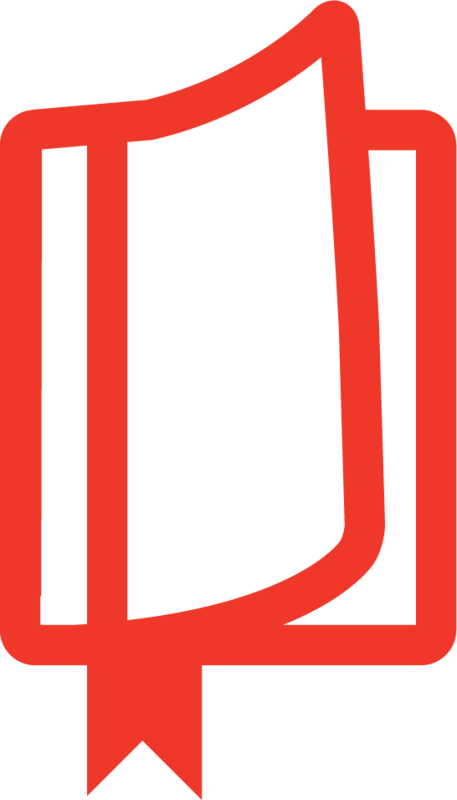 "Gilbreath's Birmingham Revolution is both a personal reflection and revelation as well as historical examination. And is right on time in a country where many think we've moved past racism, simply because we have a black president. Gilbreath's gently confrontational book paints a picture of the life and times of Martin Luther King Jr. . . . As believers it is important to come down, not just on the right side of history, but of the gospel and God's imperative for justice. . . . As Gilbreath chides some for not having grace for King's personal shortcomings or due appreciation of his role both as prophet and cultural and legal change agent, he also, like King himself, calls us to self-examination, courage, and prayerful action." "Not only will readers come away with an understanding of King and his work, they also will see ongoing cultural debates with new eyes. Highly recommend this well-written, thoroughly researched book." 9 "My Dear Fellow Clergymen"
Watch additional videos of Ed Gilbreath on Dr. King and his movement.